The team at Desert Dental Alternatives has helped countless patients in and around Rancho Mirage have the healthiest smiles possible. When patients are missing teeth, for instance, we're more than happy to discuss implant dentistry. Dental implants are a great solution for single or multiple tooth loss, and many people can smile with renewed confidence after treatment. Since many patients ask us about candidacy for dental implants, let's go over the basics right here. 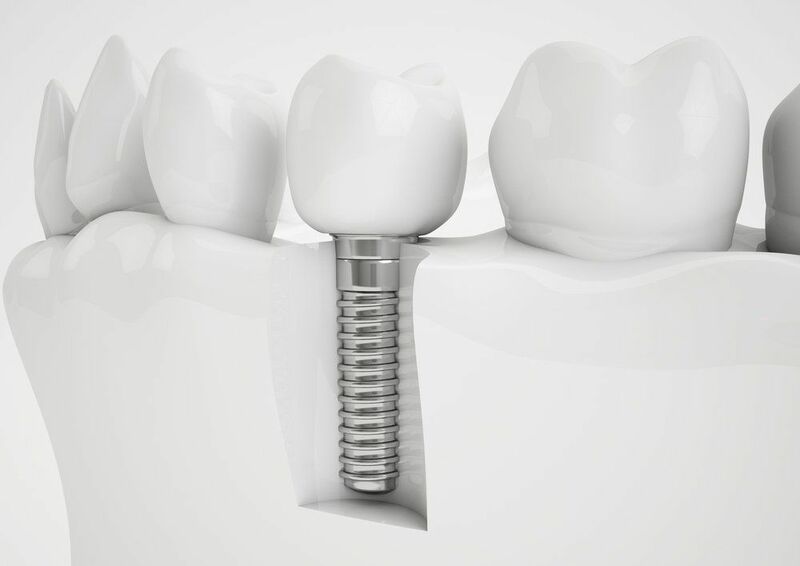 Dental implants are artificial tooth roots that are designed to hold dental restorations in place. Anchored into the jawbone and gum tissue, dental implants allow for fixed restorations to remain in place, practically eliminating the chance of slipping false teeth while you are speaking, eating, or simply enjoying your life. What Restorations Can Dental Implants Support? Good candidates for dental implants are people who are missing teeth and have sufficient jawbone density and healthy gum tissue in the area of the tooth gap. They should be generally healthy and not suffer from any sorts of medical conditions that would make oral surgery risky. It's important that patients be aware of any risks and potential complications following oral surgery. This includes the possibility of infection and implant failure. Knowing the downsides as well as the positives is crucial for any patient to feel confident about treatment decisions that they make. One of the side effects of missing teeth is bone loss and gum recession. Since there is no tooth root to be supported, these hard and soft tissues tend to lose density. It can lead to issues with your remaining teeth and also cause facial contour/appearance issues. If patients do not have sufficient gum tissue or jawbone density in place to support dental implants, they can undergo a gum augmentation and/or bone grafting surgery. These will use donor tissue or artificial grafts to help build up the missing structure. Getting dental implants will take several months from start to finish. This is because a process known as osseointegration needs to take place. In essence, this refers to the fusion of the dental implants with the bone and gum tissue, which allows the implants to serve as tooth roots. In addition, patients should be aware that undergoing bone grafting or gum augmentation prior to dental implants surgery will add several more months to the overall treatment process. The cost of getting dental implants can potentially place a financial burden on some households. Thankfully there are monthly payment options to consider that can break up the total cost of care. We can discuss various payment arrangements during the consultation for dental implant candidacy. If you would like to learn more about dental implants and how they can help you have a healthy and fully functional smile, we encourage you to contact our cosmetic and restorative dentistry center today. The team at Desert Dental Alternatives looks forward to your visit and helping you achieve the best dental health possible.